↑ "CNN Programs - People in the News". cnn.com. Retrieved 18 October 2010. ↑ Brennan, Christine. Inside Edge. New York: Scribner. ISBN 0-684-80167-1. 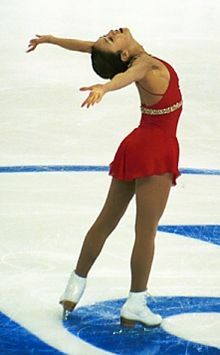 Wikimedia Commons has media related to Michelle Kwan. This page was last changed on 9 March 2015, at 15:44.